The hashtag has become part of our daily lives. You can not go a day without seeing one being used on TV or on the web. Twitter is still one of the most relevant and powerful social media platforms and we are very stern about how we use it to market ourselves and our amazing clients. There are no barriers on Twitter. You do not have to get a “like” or a connection before using the platform to drive traffic, generate leads, and nurture current qualified contacts. As we develop and execute your Twitter Media Marketing strategy, we will research the WHO and develop the WHAT while getting to the heart of the WHY your b2c or b2b business is a value to the world. We found the twitter handles of EVERY type of car there is — every make, every model. 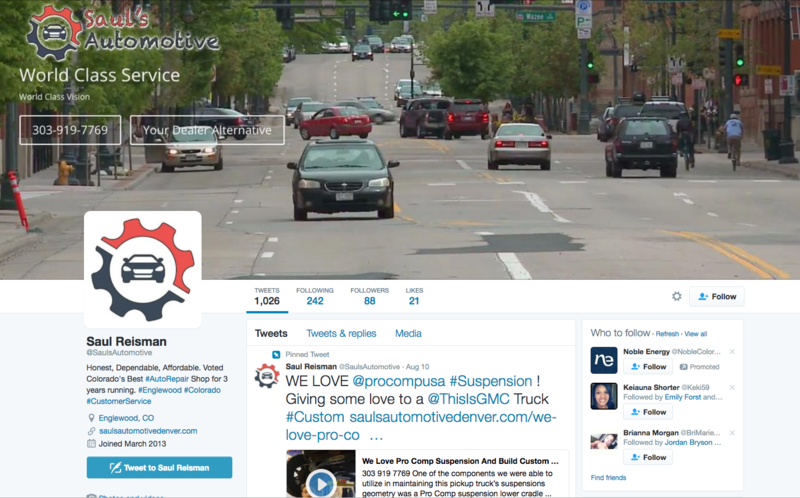 We then developed a landing page to match and have alerted the owners of EVERY type of car or truck in Denver about Saul’s great customer service. Chrysler even favorited Saul’s video tweet. That means that a local Denver auto mechanic’s video was featured on Chrysler’s Twitter feed which is followed by over 180k people worldwide. Our tweets have been noticed by the Today Show, Oreo Cookies, Star Wars and tons of other major brands bringing OUR CLIENTS in touch with and exposed to the audiences of MAJOR brands. We have seen massive amounts of website traffic and lower bounce rates with longer session time from twitter than any other platform. 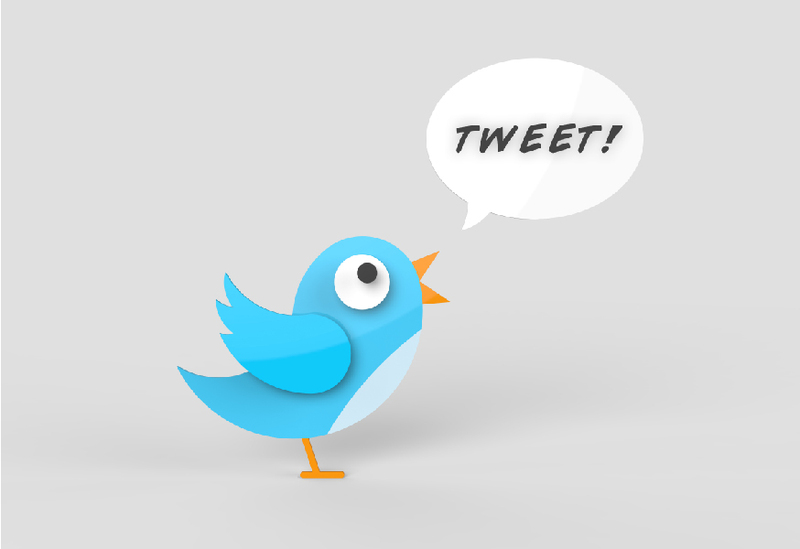 What’s more, is we use Twitter to act AS you or your brand and start conversations that you can then follow up on. 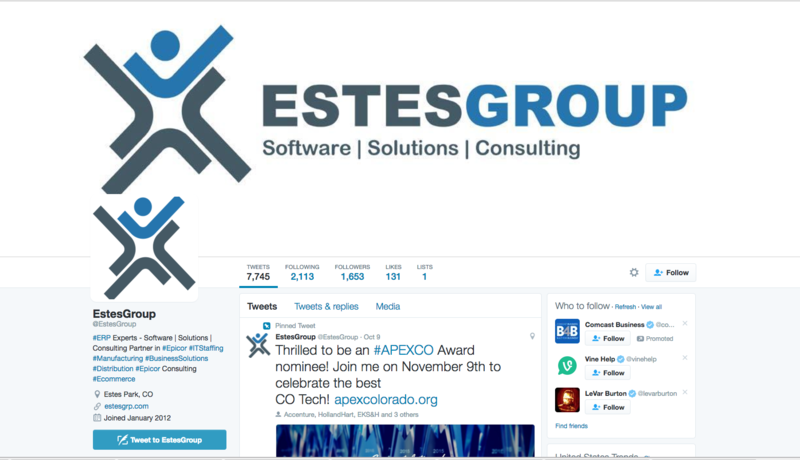 We have had our B2B client EstesGroup featured on a huge podcast about manufacturing business process which is their specialty. AND we do NOT simply retweet and favorite and use Hootsuite to post rss feeds. We actively LOOK at WHO just liked your tweet or followed you or added you to their twitter list and find out WHO they are and evaluate IF they could be a client, vendor or referral partner. Then we put them in touch with YOU!